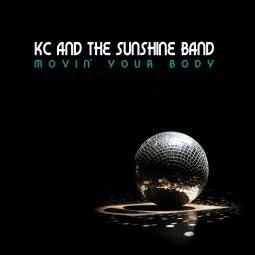 NEW DANCE SINGLE "MOVIN' YOUR BODY"
For over 40 years, KC and the Sunshine Band have been bringing people together on the dance floor. Today is no different, with the release of their latest single “Movin’ Your Body.” Written by founder Harry Wayne Casey (KC), the track has already impacted the Billboard Dance Chart at No. 46 and is his fourth consecutive Billboard Dance charting single. The infectious song is exactly what the doctor ordered from KC and the Sunshine Band. The deluxe remix collection available everywhere June 9th features hot versions served up by a who's-who of dancefloor deliverers, including the legendary Tony Moran and Brian Cua, Ralphi Rosario, Eric Kupper, Bob Rosa, LA Rush, Vauxhill, Joe Gillan, Serbiscan and Mark Hagan. The Eric Kupper mixes are available now on Amazon Music, Google Play, Apple Music / iTunes, Spotify and more!